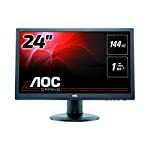 The EA245WMi is a 16:10 monitor from Japanese manufacturer NEC. This model sits on the premium end of the scale so it’s one to consider if you are looking at the top end and don’t mind spending a little more to get it. Like other 1200p monitors this is aimed at the corporate world but as I’ve said before I don’t see any reason why you wouldn’t want one of these in a home office too. I don’t own this model but I do have a 16:10 monitor and I rate the format highly. Given it’s target audience you won’t find game friendly features on this model but it is designed to be easily setup and managed and provide steady reliable performance day in day out thanks to precision engineering. 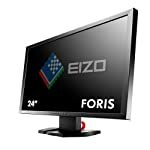 This model is sleek and thin making it appropriate for multi monitor setups with bezels measuring just 6mm. Some NEC models can be slightly industrial looking but this is a refreshing departure from the norm. The heavy stand and round base provide ample support and there are VESA mountings available if you prefer. The NEC has a number of features that make it suited to multi monitor setups, the ControlSync functionality allows you to share settings across multiple screens. Just update the primary panel and the others will follow. DisplayPort, HDMI, DVI, and VGA connections will mean you should have no problem connecting this up to your PC. NEC have done their job, on this model you’ll get good color and sharp images. It’s not a “value” proposition for sure but you do get a premium product for your money. The EA product line is aimed at the corporate market and not at highly sensitive graphics applications so this model does not include factory calibration. But you can use their SpectraView II technology to calibrate to a high standard if required allowing it to compete with more expensive professional models. However most users will expect to unpack and be on their way. This isn’t built for gamers so you won’t find any of the typical features that might help you blast your way out of hell, but response times are actually fairly good so the odd casual game will be perfectly playable, out of hours of course! We give the NEC MultiSync EA245WMi a 4.5 out of 5 rating. Want to know what existing owners of the monitor think? You can read real user reviews here. 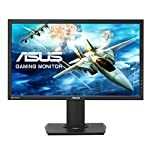 Should I buy the NEC MultiSync EA245WMi? The MultiSync EA245WMi is targeted at the commercial market but if the high level of precision appeals then it could make a good home monitor too. 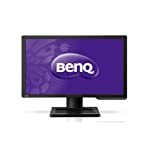 Check out our other 1920 x 1200 options if you would prefer to spend less. If you are having some doubts about this purchase then why not read some real owner reviews and see what other buyers think.